Eight Korean celebrity soldiers including Se7en and Sangchu of Mighty Mouth who were involved in the massage parlor incident will be punished as the Ministry of National Defense decided to abolish the entertainment soldiers system after it received severe criticism from the public. In an announcement, the MND said the incident has tarnished the name of the military and lost the public's trust in the department. "The primary mission of the squad is to promote the image of the military and boost troop morale. But a series of unsavory cases have tarnished the image of our military and lowered morale. As the squad is to promote the military, public trust is of paramount importance. A variety of issues have led to a loss of public trust, which is why we decided to abolish it, said Col. Wee Yong-sub, chief of the ministry’s public information division, according to the Korea Herald. The MND's public relations support group will be abolished and the 15 celebrity soldiers under it will be reclassified and deployed to regular units starting on Aug. 1. In addition, the celebrity soldiers who work as anchors on the Defense's radio and TV programs will be replaced by internal staff. The celebrity soldiers in question are facing discipline for using cell phones and leaving their hotels without permission. They face punishments including rank demotion, reduction in the number of their leave days, and detention. Last month, SBS TV current affairs program "In Depth 21" aired an investigative piece about celebrity soldiers who went to a massage parlor after a military concert in Chuncheon, Gangwon province. Se7en, Sangchu, Rain, KCM, Lee Joon Hyuk and Kim Kyung Hun attended and performed at the concert. The SBS news crew secretly followed and filmed the soldiers after the concert when the soldiers went back to their motel. The celebrity soldiers were filmed using cell phones, drinking alcohol and were out past their 10 p.m. curfew. Se7en and Sangchu were seen going to massage parlors. 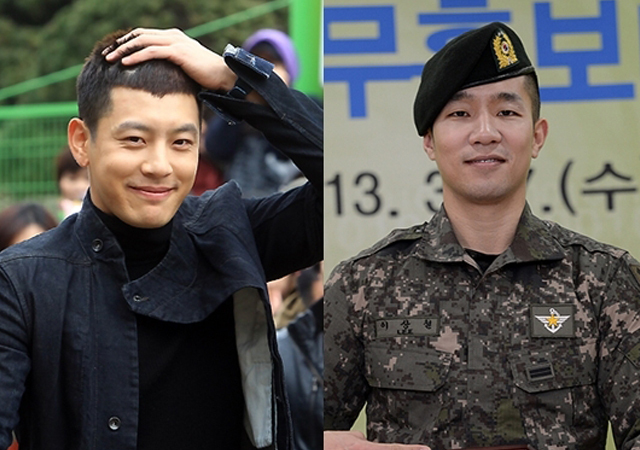 Se7en enlisted in the military last March while Sangchu started his military service last October. Rain was discharged from the army last July 10 and before his release, the Defense Ministry cleared him of any wrongdoing regarding the incident. Last January, Rain was disciplined after he was caught dating actress Kim Tae Hee while serving in the military. Quoting data from the Defense Ministry, the Korea Times reported that "32 entertainment soldiers who were discharged between November 2009 and September 2012 took 75 leave days on average, 1.7 times more than the 43 days for ordinary soldiers."